Beats Medical was founded in 2012 by Ciara Clancy, BSc, PhD. 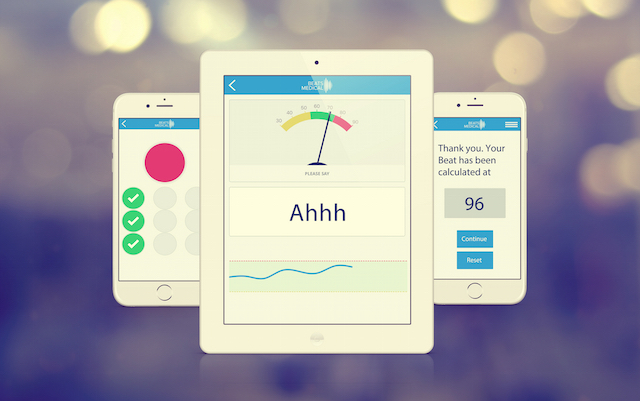 The app incorporates metronome therapy via auditory cueing through a smartphone and has been available since 2015. In early 2016 the team launched additional speech and hand dexterity exercises. What inspired you to launch the app, and how long did it take to create, once you’d had the idea? One of the reasons I wanted to become a physiotherapist was to work with people with Parkinson’s, but it was while working in a hospital that I realised I wasn’t doing enough. There were clinically proven treatments that improved symptoms of the disease, but people with Parkinson’s could not access these at home, as they needed to be individually prescribed. I thought that if I could find a way to do this, I could give people with Parkinson’s the tools to take control at home. How did you meet your partner Dr Wui-Mei Chew? Wui-Mei and I met at Trinity College Dublin, Ireland, when I was studying for my PhD. Wui-Mei, a medical doctor, shared my passion for empowering people with chronic conditions in their care. When I founded Beats Medical, I wanted to bring together a team of experts who shared our vision. Wui-Mei was the first person I called – she understood what we were trying to achieve and came on board. We’ve since grown a passionate and dedicated team and have a great supportive board of advisors. Can you tell us how the technology helps people with Parkinson’s? The technology is based on a treatment called ‘metronome therapy’. Metronome therapy has been clinically proven by decades of research to help manage the symptoms of Parkinson’s such as shortened steps, reduced walking speed and freezing. In Parkinson’s the signal in the brain that tells you to move can become impaired. It’s like a musical beat or sound wave, which acts as an external signal to control movement and help overcome the walking issues. For many years this treatment was provided in hospitals, but was not available at home as the beat/signal needed to be individually tailored. No two people with Parkinson’s are the same and handing technology over with no support would really do them a disservice. Which is why someone from the Beats Medical team assesses and individually prescribes the correct beat for that particular day, which the user listens to while walking for 10 minutes. It acts as a daily mobility exercise. The speech exercises we have developed work in a similar way, in that they provide tailored, real time feedback on the volume and clarity of the voice – helping to control speech. The exercises can be tailored further to allow patients or their therapist to manually enter words or sentences that are important to them. We also have treatments for the fine hand movement issues to help work on the skills required for handwriting and doing up buttons and zips. How did you secure funding for the project and how did you test the app? We were lucky to be supported by Enterprise Ireland, a fund partly supported by the Irish government. 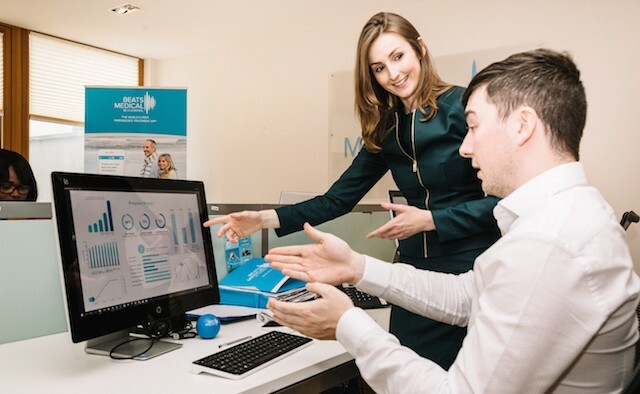 As our therapy is a medical product, we spent over two years testing and developing the initial prototype – both in-house and independently – with a number of Irish universities, before launching. 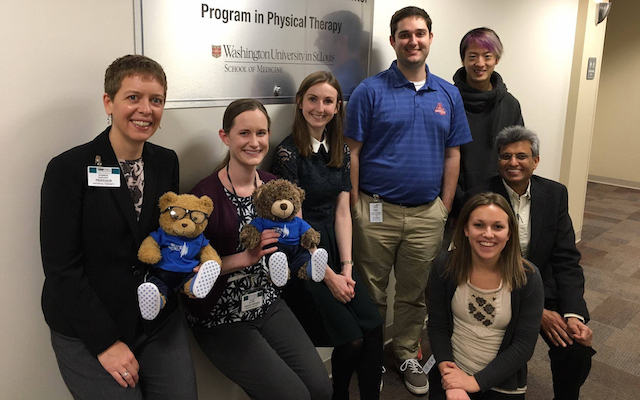 We went on to conduct follow up research on our new products with the UK’s largest Parkinson’s charity, and we’re now conducting a longitudinal randomised controlled trial with Washington University, one of the top physical therapy programmes in the US. This trial is examining the long-term impact of the treatment on speech, mobility and fine hand movements. How many people around the world are currently using the service? We have patient users in more than 40 countries. As our technology is easy to use we have users of all ages – our youngest is 25 and our oldest is 94. Most of our users are concentrated in Ireland, the UK and the US, but we also have lots in India and various European countries. Many of the exercises built into the app are visual rather than language-based which means it can be used universally, but we now have versions of the app in different languages. What role does technology have in the management of chronic conditions? Technology can play a vital role in the day-to-day management of chronic conditions. It can enable people to take control of their conditions in a way that, previously, may not have been cost effective. That said, technology is not the only answer, as technology is not a replacement for specialist care but merely a way to augment the months – or even years – between clinic visits. I like to think of Beats Medical as more than a technology – it’s a service with daily therapy that would otherwise cost quite a lot per day to provide at home. You have a background in physiotherapy, what made you specialise in Parkinson’s? I first witnessed the impact of Parkinson’s disease when I was in my teens, and at the same time saw the impact that physiotherapy could have on symptoms. It was only while working as a physiotherapist that I realised that I was falling short, and not doing everything I could. There were clinically proven treatments, which had a profound impact on Parkinson’s symptoms in clinic, but these symptoms persisted at home. I set about researching a way to bring these treatments into the home. It took a long time but we did it. As a physiotherapist, I could have treated around 10 people in the clinic a day, but now we can treat thousands of people around the world every day. That’s a dream come true, but like anything, there is always more to be done – our launch of new treatments for speech and dexterity show that we’re dedicated to continuing to innovate. What have you learnt about Parkinson’s and the patients since developing the app? I have learned that anything is possible. Each week we hear of incredible achievements from the Parkinson’s community. 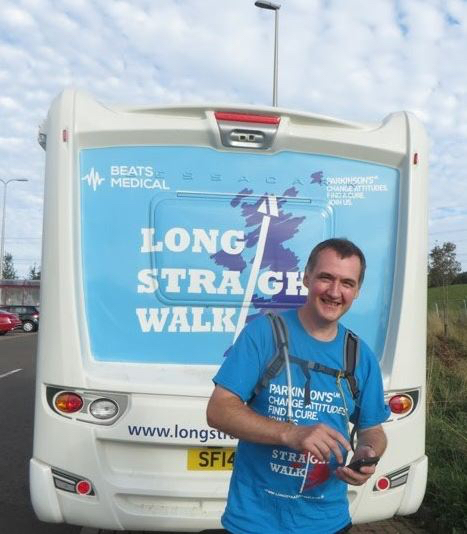 John MacPhee walked the length of the UK – over 630 miles – and Ewan Stutt from Parkinsons.me has completed multiple adventure races. We hear of people with Parkinson’s who have been able to walk their daughter up the aisle, sing to their grandsons again and have been able to write birthday cards to their friends and family this year. These stories motivate and inspire our team every day and make it feel like we all have the best job in the world. Tell us about some of the awards that you’ve won. We have been lucky to win both national and international awards for our work and have been recognised by leading global brands such as Cartier (European Laureate – Cartier Women’s Initiative Awards, 2015) and Google (Google Demo Day finalist, 2016). Although these awards help spread our message and support our continued work, it’s the success of our patient users that have been our greatest achievements to date – whether that’s being able to write their signature, speak more clearly, or walk to the shops again. Their stories are incredibly motivating and always push us, as whole team, to do more. What are your long-term goals for the app? I hope to continue to give people the tools to take control of their symptoms at home, to treat the symptoms, which persist despite medication. The long-term goal is to continue to provide more non-invasive solutions to Parkinson’s symptoms, while helping more people around the world to manage their symptoms. We hope to continue to develop services for other neurological conditions. I believe that non-invasive technologies will play an important role in improving the independence and quality of life of people with Parkinson’s in the future. Through the use of technology, collecting ‘big data’ may allow us to see trend not just in Parkinson’s, but in other chronic conditions too. Keep moving and integrate exercise into your daily routine in whatever way you can. Whether this is exercises while seated, or going out for a walk or to a dance class, do something you enjoy that fits it into your daily routine. Work on your stepping Parkinson’s can affect the quality of your walking and stepping issues are common. It’s important to wear good quality footwear that holds your foot in the shoe with laces or straps. A quick handy tip if you freeze in doorways at home (i.e. bathroom and kitchen doors are common places for freezing to occur) placing a line of bright tape on the saddle board of the door can help with freezing. Always replace the tape if it becomes loose or frayed. Practice writing Try holding a wide pen and write with big exaggerated movements. Write by moving the whole arm, not just the fingers. Exercise your voice Speak loudly and clearly and modulate the tone of your voice. Try to exaggerate your expression as you do so. Join a choir if that’s something you enjoy.